Ana is a Board Certified Behavior Analyst at Building BLOCS who provides individual and group therapy services. She received her B.A. in French and B.S. in Communication Sciences and Disorders from University of Texas at Austin in 2011. After completing her undergraduate degrees, she worked as a licensed assistant in speech-language pathology (SLP-A) in a pediatric setting for 4 1/2 years. 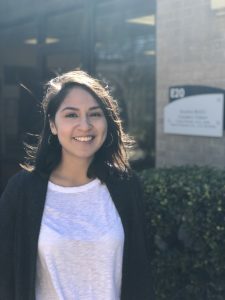 Ana has been a part of the BLOCS team since June 2017 and graduated from the University of Texas at Austin with a Master’s degree in Special Education in August 2017. Ana’s interests in the field include: challenging behavior, language development, and social skills. During her free time, Ana enjoys going to the movies, having brunch, hiking, and spending time with her husband and pets.